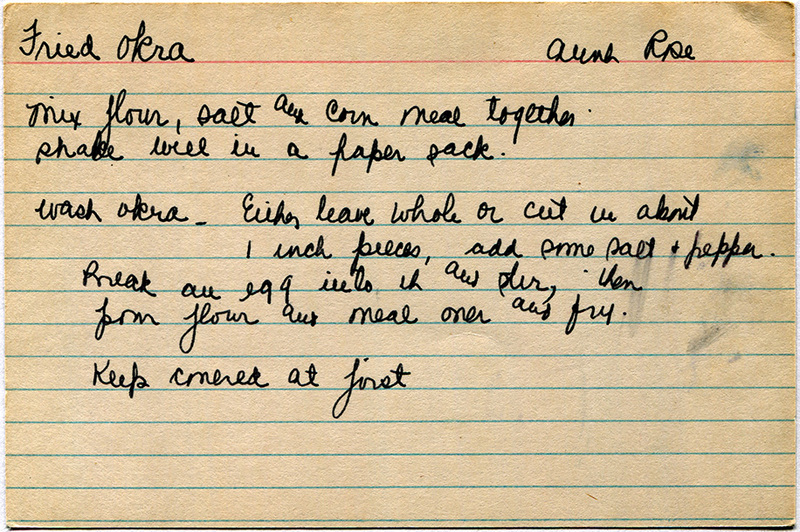 For another take on this and more on the history of okra, see the post for Yesterdish’s Country Fried Okra. From a box sold in Warren, Michigan. Click here to see the front in full size. Mix flour, salt, and corn meal together. Shake well in a paper sack. Wash okra; either leave whole or cut in about 1 inch pieces. Add some salt and pepper. Break an egg into it and stir, then pour flour and meal over and fry.